Product contains milk and soy. Whether you're looking for a sweet treat to celebrate a special occasion, or a birthday gift to brighten someone's day, these Gelato Pops are the perfect pick. 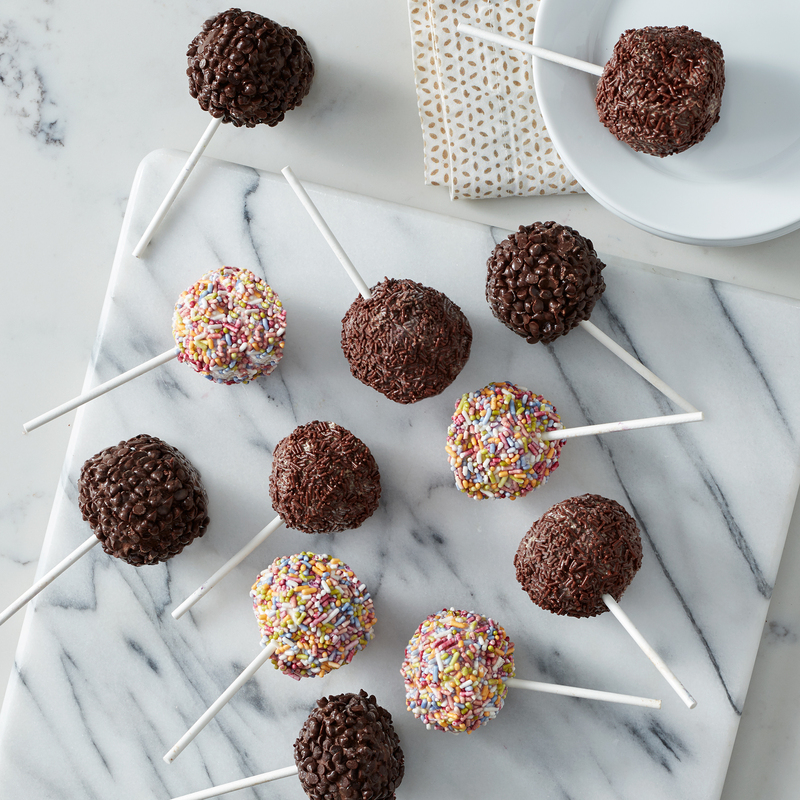 Smooth, creamy gelato and delicious toppings make these pops irresistible. This gift comes with four each of vanilla with rainbow sprinkles, caramel with chocolate sprinkles, and chocolate with chocolate chips. Ships frozen.